Remember shooting a bow at summer camp or school our Archery Experience will refresh all those memories. This is also a chance to try a new sport with little investment. Looking for a new backyard family activity, this is a place to get started. This is an introduction to archery secession with basic instruction in equipment usage and safety. We will provide equipment and one hour practice time on our Indoor Range. We use Recurves and Gensis Compounds or you may use your own equipment. This is a one hour lesson with a USA Certified Coach. We offer lessons for Recurve or Compound bows. This is a one on one lesson covering Form, Technique and Shooting. This is a one hour group lesson for patrols with six to ten Scouts or Webelos. 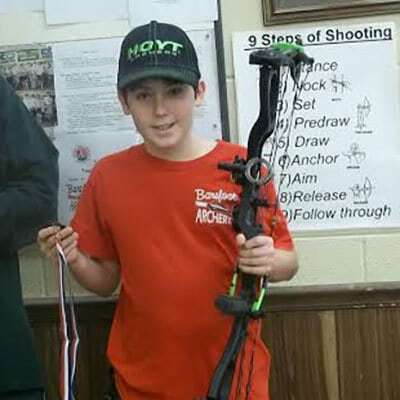 Basic instruction in shooting to help complete the shooting skills for the Archery Merit Badge or Webelos Archery Belt Loop. 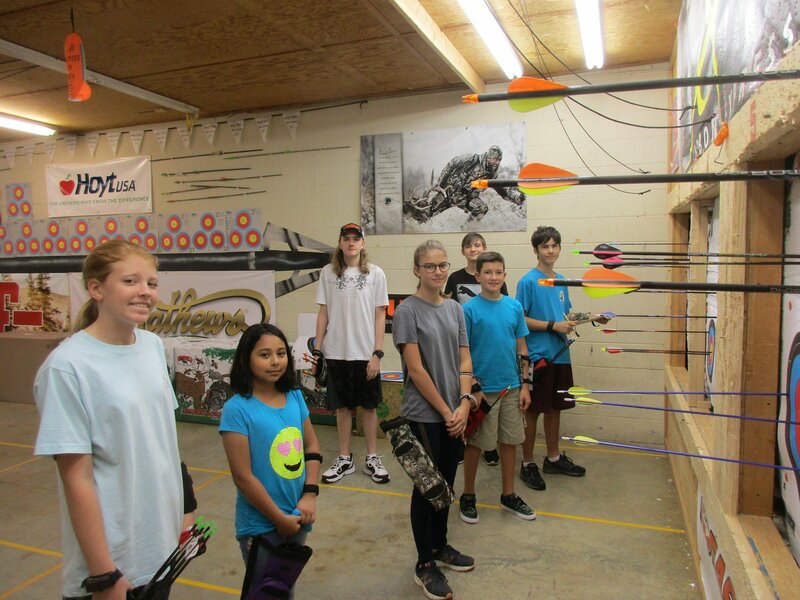 This is a great outing for a Patrol to improve their archery training for Summer Camp. Want to escape the heat this summer try our Summer Camp. 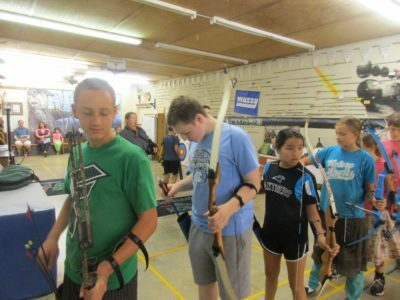 Summer Camps are held at the shop in our air conditioned Indoor Range. 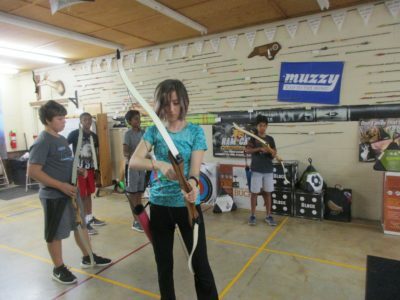 We normally host three Archery Summer Camps one each in June, July and August. These are four day camps lasting two hours each day Tuesday to Friday. Equipment provided unless you have your own and then equipment will be inspected to ensure it is safe and correct for each individual. Each student will receive USA Archery Drills and Skills booklet plus a lanyard with up to five achievement pins. This is a one hour class that we put together for home schoolers. Like our Cub and Recreation classes but these classes are four weeks not eight. We will provide equipment or you may use your own if approved. If you belong to a home school group that has six to twelve kids, we will put together a class for you. Equipment will be provided or you may use your own if approved. This is a class like our Cub and Rec for students that cannot make a Saturday class. This class is for eight week is like our Saturday classes. We normally have a wider age range, but it is a beginner class. $100.00 per session, for 8 classes. This is an eight week class offered on Saturday morning is designed to introduce you to the basics. 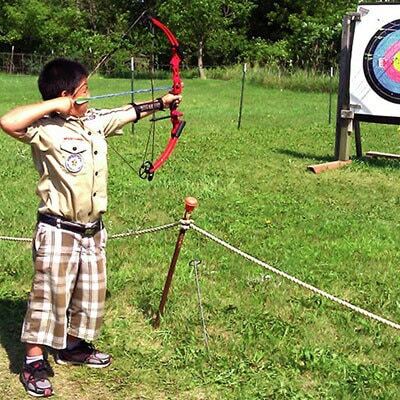 Cub Class is for younger students 8 to 12 that have little or no experience with bow and arrows. The class is centered on safety and following the rules. You will learn how to shoot and take instruction during this eight week class. No scoring, no exercises, just safety, shooting and fun. This is an eight week class offered on Saturday morning for older teens. 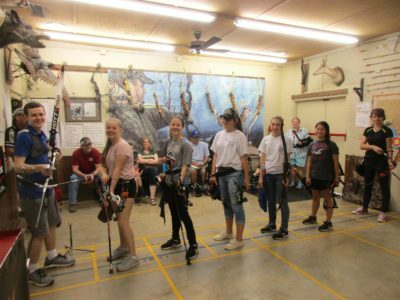 Some of these teens may have archery experience and own their own equipment. Some will have no archery knowledge at all and need equipment which we will provide at no extra cost. They will be taught how to shoot safely and be introduced to scoring and local tournaments. After a couple of sessions in this class if the student shows interest and ability, they have a chance to advance into our JOAD program. Limited scoring & exercises. Safety for shooting. 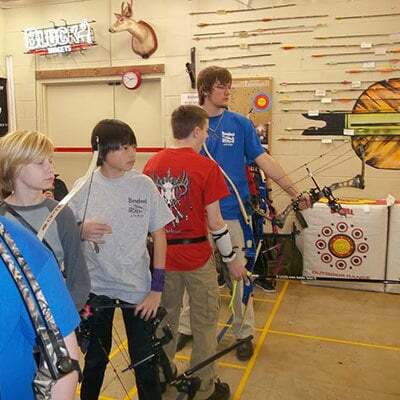 All types of targets & info on local tournaments indoor and 3-D.
Students must have their own equipment Recurve or Compound, a Thera-band needed for warm-ups, and Drills and Skills Booklet needed to check off achievements. 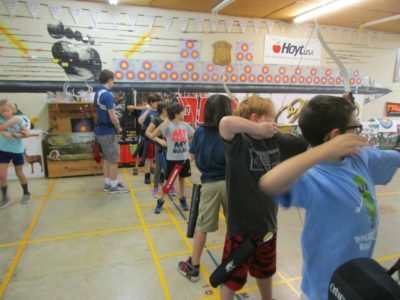 This is an eight week class on Saturday afternoon for advanced archery training. 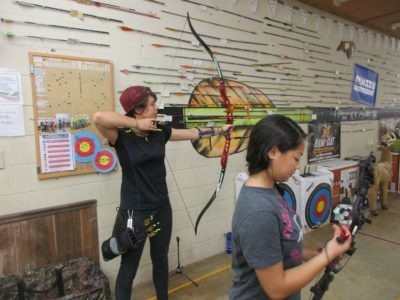 We offer two JOAD classes Beginner and Advanced. Beginner is for students moving up from our Recreation class and Advanced is for students with higher skill levels. Journal keeping is required, competition training with one tournament a session encouraged. Rank advancement earned only at scheduled class scoring or tournament competition. This is a National program using BEST training (Biomechanically Efficient Shooting Technique) Certificates and Lanyards given for ranks earned. Submit your information and Barefoot Archery will contact you to complete your registration!